D&D shirts are now in stock, PLUS we’re currently processing a gobs of new Magic the Gathering shirts! Don’t take a chance on a d20 roll they’ll stick around for long… pick yours up today. DC did it. In an industry where fighting for attention on the shelf is the key to the game, DC has rounded up the competition and painted their covers beige*. 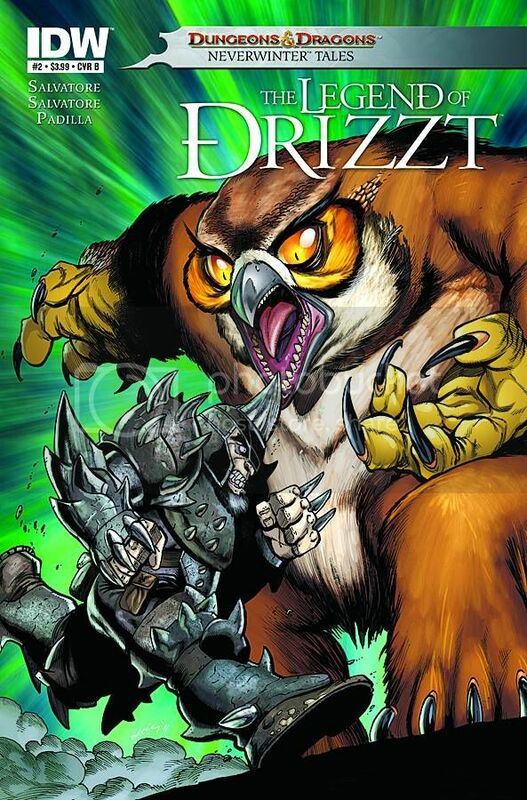 Few people are going to care this week that IDW have Dungeons and Dragons: Drizzt #2, a new ongoing comic book about D&D’s favorite Drow Elf Drizzt Do’Urden written (partially) by R. A. Salvatore and featuring a cover where a dwarf headbutts an Owlbear. AN OWLBEAR, sugar! They’re the honeybadger of the D&D world! This is possibly one of the best covers of the year…but is anyone going to notice? Not when you have Action Comics #1, Batgirl #1, Detective Comics #1…heck, even Animal Man #1 on the shelves! All the Owlbear carnage in the entire Forgotten Realms ain’t going to roll a critical hit against any of DC’s crop of 52 new titles with a big “#1” on the front. As the internet pushes the frontiers of fantasy and concept art to greater heights it becomes increasingly more difficult to remember a world without conceptart.com, imaginefx magazine, Spectrum and deviantart.com. The fantasy artist, likewise, has evolved into smaller, faster and more stylized professionals than ever before. If one would follow the evolution comparison we could argue that contemporary fantasy artists are a bunch of chickens! Not because they are cowardly, but because they are a hearty, versatile breed of artists flourishing successfully. They are plentiful, and they are productive. Where fantasy art used to be relegated to the seedy covers of men’s magazines, and helpful instructors in this style unheard of, today’s fantasy artists can access peer reviews on countless internet forums or even in classrooms across the collegiate USA!